Hotel Bramante is built at the foot of the hill on which Todi is built, in the shadow of the Tempio (Temple) of Santa Maria della Consolazione and its only 600 m from the town centre which can be easily reached with a modern lift located just 300 m away from the hotel. 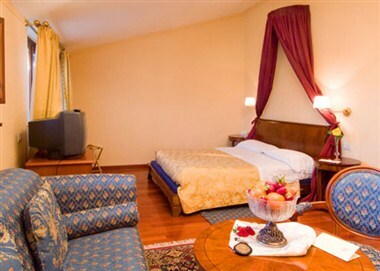 The Hotel Bramante has 54 rooms, among these are 4 suites and 3 junior suites for its guests. 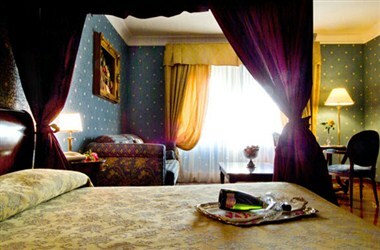 All the rooms are large, welcoming and comfortable, and are furnished in a classical and elegant style, down to the smallest details. 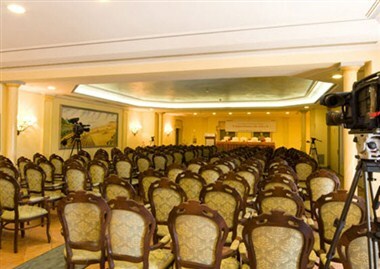 It has 4 function rooms, which can seat from 10 to 300 people, the Hotel Bramante has been for a long time, and is increasingly, the preferred venue for companies large or small, or for working groups, for organizing seminars, conventions, meetings, and training courses, since it is able to satisfy the specialized needs of different sectors, from scientific to technological. 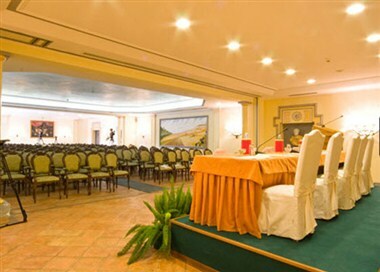 The Hotel Bramante is thus a privileged corner for a break, as well as being an ideal venue for conventions or business meetings, or an elegant location for the most important ceremonies.